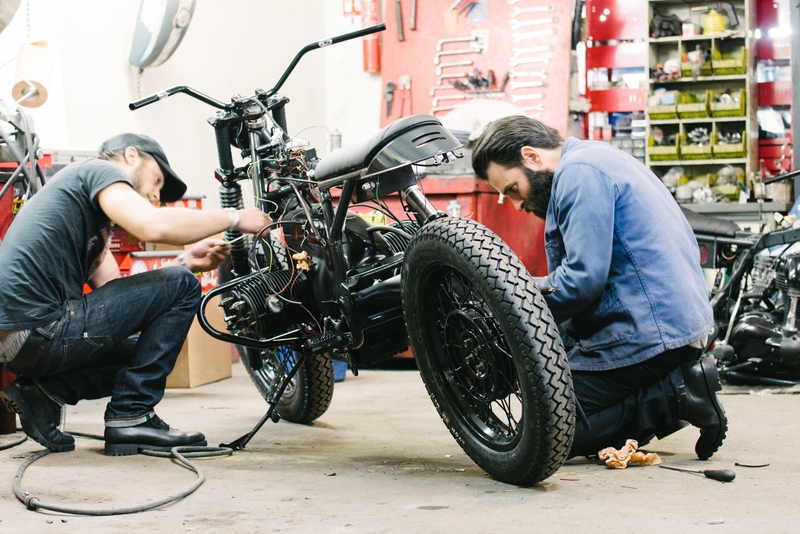 Passion-driven Hugo and Fred (the pure genius who founded the unique Blitz Motorcycles) and Edouard (founder of Mauban) gathered the best craftsmanship to create a boot for bikers. A goodyear-welted construction that lasts long and allows you to re-sole for life. Your foot will be molded thanks to the unique technique of the cork-sheet filling. A commando sole from the French and Swiss Army, manufactured in Auvergne by Bertoise, to prevent abrasion and fall. A doubled-tanned leather from Degermann in Alsace, for a twice-more thick and oiled calf leather that will wonderfully age without fear of the gear change. An easier derby-lacing to pull on and to adapt to every feet with rustproof brass eyelet. A black suede that won’t be stained by your favorite unwashed selvedge denim. After two years of research and development, our last – handmade in Cholet –finally results in the perfect aesthetic and comfort. 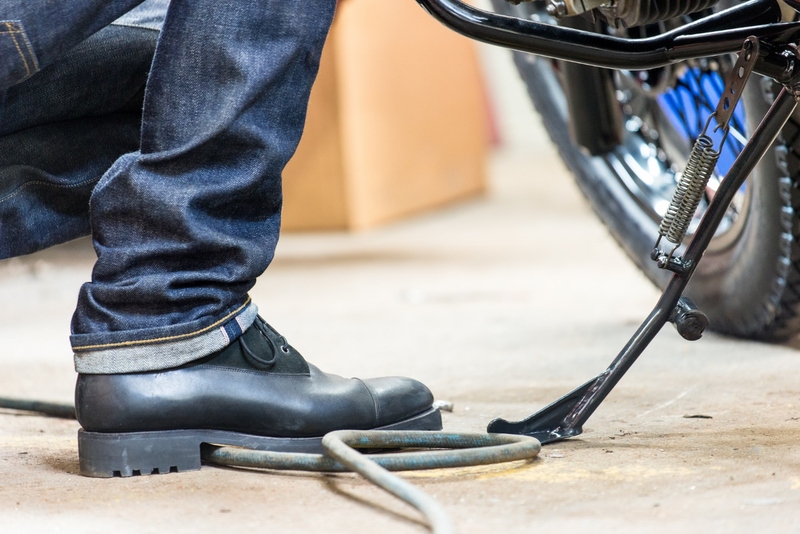 Our Blitz Boots are wholly handcrafted in France to meet all the bikers’ specific needs.